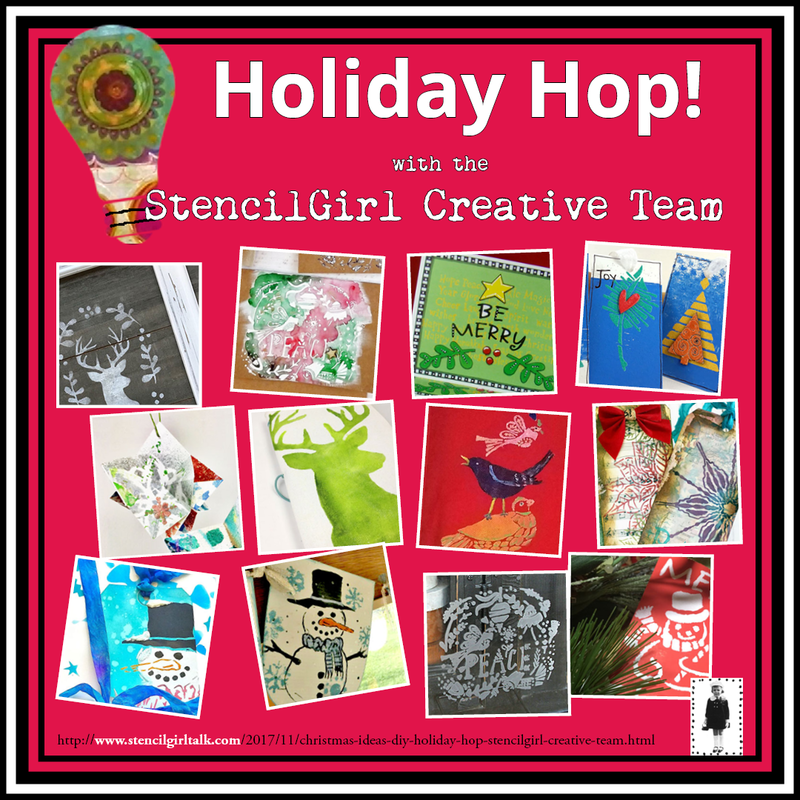 StencilGirl Talk: Holiday Hop with the StencilGirl Creative Team! Holiday Hop with the StencilGirl Creative Team! This is a great hop! I enjoyed all the projects and the videos. Thanks for making it a great start to the holidays. this was a wonderful hop. frustrated with trying to use them. sharing so many wonderful ideas. I do mostly cards and just bought a LOT of your stencils, so thanks for the inspiration! almost forgot to come back and thank you for the hop - incredibly inspiring as always! Another amazing and inspiring hop! Is this just a giveaway for Americans please? Ambiguous wording I think has me confused. I love Stencilgirl! Love all the holiday projects! Wow! Great hop and amazing projects!! !